Sustainable sewing: What Is It? When I gave my blog a bit of an update after Blogtacular, I added the tagline “Sustainable sewing | Ethical living”. It sums up the new direction my writing is going in but what do I mean? I’ve said before that I think sewing is a wasteful hobby. For me, sustainable sewing is kind of the opposite of that. The very definition of sustainable is something that can be maintained at a certain rate. In environmental terms, people are usually referring to natural resources. I haven’t really seen anyone else applying this term to sewing before, nor being referred to by others as an ethical sewing blogger. Maybe I’m on my own with this way of thinking, I don’t know. I would say that most people’s sewing habits are not sustainable. They cannot continue at their current rate, whether that’s garments being produced or consumables being purchased and hoarded. If you are active in any kinds of sewing groups, online or offline, or follow lots of sewists on social media, you’ll hopefully see where I’m coming from here. I love being part of the sewing community, don’t get me wrong. There are some wonderfully supportive and inspirational sewists out there, and I’ve met some fantastic people. However, I think that our sewing consumption is out of control. I’m absolutely not preaching, my sewing habits have not been perfect and I still have a way to go to achieve sustainability. She who dies with the most fabric wins… or does she? Most sewists overbuy fabric, patterns and all other consumables. In fact I could quite confidently say, at some point, every single one of us has bought stuff we don’t need because of encouragement by others. To be honest, the reason for me not to have overbought fabric in the past has been financial. Although I did manage to visit Goldhawk Road and come away with nothing. 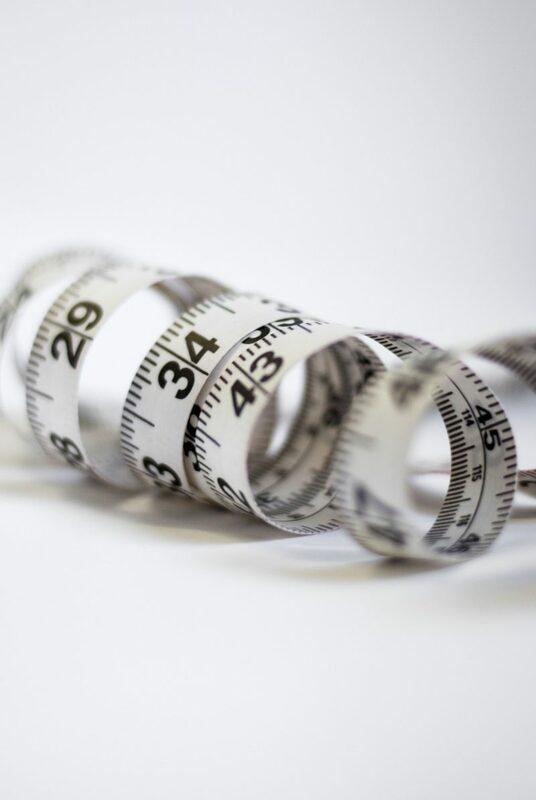 The sewing community has fostered a culture where overbuying and overspending has been normalised and, for the most part, is actively encouraged. I was the same until this year, so I’m not judging, this is merely an observation. This weekend is the Great British Sewing Bee Live event. I can guarantee that my Instagram feed is going to be full of all sorts of lovely things that people have bought, mostly fabric. Most of these photos will have captions about how the purchases weren’t needed but were bought anyway, or that the fabric will be hidden away from other halves. Are our stashes out of control? I see a lot of fabric stashes that are out of control, people will literally have more fabric in a spare room at home than an online retailer. Sewists are often applauded for it, it’s almost an unspoken competition to see who has the most stuff they’re probably never going to use. A lot of photo challenges on Instagram often have a day to “show off your stash” too. We are all normalising this overconsumption and it is just as bad as normalising the overconsumption of fast fashion. Do we sew for ourselves or others? I don’t mean literally whether you make your own clothes or clothes for someone else. What I mean is whether you do a lot of sewing to join in with the sewing community. There are a lot of sewists who can’t possibly be wearing all the things they sew; those who join in with every sewing challenge possible; those who jump on the latest pattern releases to be the first the sew them. For many sewists, a lot of projects don’t even get to the making phase; they are just hoarding piles of fabric and patterns to show everyone else that they have them. Surely it just isn’t sustainable to continue doing that? I certainly couldn’t keep up with the buying habits or sewing prolificacy of many people I’ve met in the last few years. Honestly, I don’t want to either. When I first started to use Instagram I definitely wanted to fit in and make friends. My choices in sewing were certainly swayed by what others were making. I also bought way more fabric than I ever needed because that kind of consumption is so encouraged. So many people are now aware of the effects that fast fashion has on people and the environment. A lot of sewists make their own clothes to avoid being part of the fast fashion cycle. I totally applaud that, but don’t think it’s enough. I don’t think we can switch from buying too many clothes we won’t wear in Primark or H&M or wherever, to buying too much fabric and hoarding it. It’s the same thing. Lots of sewists love cotton for its versatility and availability. I wonder how much of this cotton we all buy is produced in ethical ways? It’s something I’m going to do some research on because I’m genuinely interested. My guess is that a lot of it is produced in the same factories, and under the same conditions, as the fast fashion so many of us are keen to avoid. How can we practice sustainable sewing? Don’t buy fabric just because it’s there. Try to get into the habit of buying fabric specifically for projects instead of ‘just in case’. There are plenty of beautiful, sustainable fabrics out there to make your clothes from. I’ve put together a directory of online retailers. As with buying ready-to-wear clothing, we should ask whether we will wear the garment we’re planning to sew. Apply Livia Firth’s #30wears logic and you can’t go wrong. I’m busy writing my newsletter for the end of September. Sign up here to read it. I have never read you blog before but came to this subject via thriftystitcher, thank you, you have given me food for thought. I don’t have a massive stash of fabric,my finances don’t allow me to,but I will definitely be more thoughtful about my purchases. Well written/said – I couldn’t agree more with everything you’ve said. Coming from industry where I worked for an ethical clothing company and having done an MA which explored ways to recycle textiles I was appalled when I 1st became aware of the concept that over-consumption was actually being encouraged and applauded in the sewing world. Sustainable sewing is a big part of what I’m trying to do as well and funnily enough my column in this month’s Love Sewing magazine is all about slow sewing. The sewing and craft industries are sadly just like any other industry and they need some time to mature and develop before attention is turned to important issues like this. The seeds of change and questioning the status quo are definitely appearing but in the meantime they’re competing with more and more shows like this weekend, more and more sewing magazines and more and more online fabric companies. I believe sewing less with fewer resources definitely encourages creativity, something which *some* parts of the industry are lacking. Sewing is about so much more than the end result and that’s an early lesson that I try to teach all my students. Thank you Wendy! It’s nice to know we’re on the same page here. You’re right, sewing is about so much more and I’m really glad we’re all starting to have this conversation. I haven’t seen your column yet, but I will try and read it. I had no idea that you’d worked for an ethical clothing company or about your MA, both sound fascinating and I wish you were closer so we could have a chat! Let’s hope we can get together to work on something in future. I like the sound of Charlie’s (Offset Warehouse) panel discussion idea. Do email me if you want to talk about ideas in more detail though! Seems your post has struck a chord with lots of people which is reassuring. This post rings true with me as I’ve been trying to work through some stash and old patterns this month. I probably have more than 100 patterns (big name and independent – not even counting books with patterns included) with about 85% never being sewn. And, yeah, LOTS of fabric. And magazines about sewing and books about sewing and yarn. I was thinking about this the other day and came to the conclusion that one reason I buy the things I do is that I’m a “possibility” person. I can see possibility and potential in everything. I’m excited by the idea of having the perfect wardrobe, beautiful artistic clothes and just the process of making things. My sewing room is my happy place. Sometimes saying “no” to something good means saying “yes” to something better. And, the reverse, sometimes saying “yes” to something good means saying “no” to something better. By adding that fabric to my pile (saying “yes”), I’m saying “no” to something better (uncluttered work space, room to move around, no guilt over unmade projects). Glad you enjoyed this post, Ginger. You’re so right about FOMO and possibilities, I think I’m the same but I love your creed; it’s something I should definitely be applying to life in general, never mind sewing! When our mothers and grandmothers learned to sew it was something they did to have access to the latest fashions at affordable prices or to repair clothing already owned. Now, it’s an industry, and to have bragging rights you need the latest tools (irons, point turners, patterns,etc.) and fancy machines that people have to finance. I often look at patterns and think that’s the exact same pattern with a slight neckline variation that I’m expected to pay for to “support the industry”. I work on a relatively small budget so about half of my new garments are made from RTW that is becoming too shabby to wear but I can take it apart a make a pattern myself. I’ve just found this site http://zerowastedaniel.com/ to give me a little inspiration for my scraps. I only buy fabric for specific projects. Only recently have I spent more than $8 a yard for fabric. I think my advanced beginner skills now allows me to make that will last a while. You are so right, Sherri. A while back all of my late Grandma’s sewing patterns came into my possession and I was amazed at just how many of them are basically the same as a lot of indie patterns I’ve seen. Whilst I’m all for supporting indie companies, I won’t do so for the sake of it, to be seen to be doing it. Thank you for writing this. It is something I have pondered on occasion. Are we any different to fast fashion with hoarding and sewing for the sake of sewing, where maybe it’s only purpose is to look good in social media. It can be overwhelming and I have started to unfollow where I feel the consumption is too high. This applies to those who sew and those who buy ready to wear. I do wonder as well how this thought also applied to refashioning. Is taking a size 20 maxi dress that is actually wearable and turning it into a size 10 skirt (when there are already 10+ size 10 skirts on the op shop rack), sustainable? Yes, it is giving new life to something not currently in use, but is it being done in a sustainable way? How often will the skirt be worn by the re-fashioner compared to the size 20 women that would have worn that dress as is? What happens to the scraps? What is the reason behind the refashioning? I love that comment about refashioning, it’s something I’ve wondered too. It’s one thing to repurpose a garment of your own, but buying things just to repurpose does seem wasteful. Like you say, how often will the sewist wear that item versus a person who would have worn it as is? Especially if the sizes are harder to come by. I also don’t understand buying multiple items to refashion. I’ve seen some really clever refashions, but if it takes someone 10 pairs of jeans to create one item I just don’t get it. I am so happy that someone is writing about this, you are not alone! I am a fabric shop owner and you would think that I would have the opposite feelings about the industry that I love but I wholeheartedly agree with the points you have made here. Having sewn all my life I am still astounded at the amount of fabric that is being produced, bought and stashed. Don’t get me wrong people buying fabric is what pays my mortgage but I have always felt that fast fashion is not solved by just sewing your own clothes at the same rate you would buy them. The industry itself is also at fault, the same situation came a few years ago with Papercraft and then the bubble burst when everyone realised they had enough to last them a lifetime and people stopped buying and businesses went under. I would love to chat with you more about it if you fancy doing something together give me a shout. It’s weird to find that so many people share my opinion on this! It’s really interesting that you feel the same way and obviously sell fabric. I’ll drop you an email this morning, I’d love to chat to you! I am completely with you on this and was going to start blogging on the same lines. Thank you for showing me that there are enviro conscious sewists out there. To me, fabric and supplies shopping is the same as fast fashion shopping with the same buzz, albeit just slower as you need to DIY it. The difficulty is to preach to the unconverted who don’t want to or care to think about the environmental footprint. It is difficult to reach those who don’t seem to care, but I think if we all keep on having these conversations then things will start to change. Not everyone will be interested of course, but it only takes a few of us! Using fast fashion as the example, there are more people than ever questioning where their clothes came from. One of my biggest issues with sewing these days though is all the cut offs (tiny to medium) as well as all the cut off yarns that I just throw away. Yeah sure, there are projects and ideas of what could be done with it, but those projects are not something I would use anyway or am even interested in producing, so it will be wasted in the end anyway. I’ve held onto snippets and yarns in the past hoping that I’ll use it in SOMETHING but it never happens and I just hoard bags of nonsense. How do one recycle these bits and pieces? 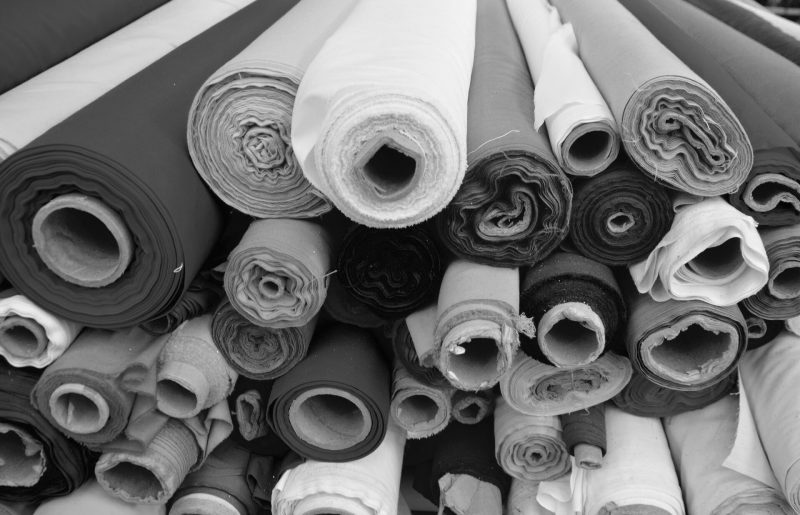 Is fabric recyclable in the same way as plastics? I’ve tried to find out, but so far the search hasn’t brought on any hope. In some countries there might be such initiatives, but not in South Africa as far as I can tell. Hi Hanli, thanks for your comment. I know what you mean about little scraps! At the moment I’m saving up mine and I’m making a rag rug. Previously I’ve donated them to my daughters’ pre-school and school because at least they’ll get used creatively. Fabric can be recycled, but I’ve struggled to find anywhere locally even though my council’s website says differently. So frustrating! Thanks Laura, I’m glad you liked it. I don’t know what the answer is with the fabric we’ve all already got, like you say is it really the best thing to get rid of it? Personally, I donated some fabric about a year ago to a charity shop that I knew I wouldn’t use. Everything I kept I am trying to use before I buy anything. It’s hard though because some of it I bought a long time ago without really thinking what I’d use it for. I have sewn for a long time, and I’m from the generation that learnt at school, and made something as you wanted/needed a new item. During my career years I didn’t sew so much, and lost touch with the sewing/crafting world. Now retired I’m having a ball sewing just when I want to, and trying out new things. I was amazed when I discovered what an industry ‘sewing’ now is, and I am astounded at the money spent on fabric and tools, especially machines. I saved for a long time to buy an Elna 9000, 26 years ago, and she’s still going strong. I also have six vintage Singers which Ive restored, so they aren’t lost to the sewing world, and a secondhand overlocker. I toyed with the idea of an embroidery machine and a new electronic one, but again I’m astounded at the cost, and my old girl is so good, it would be rude to replace her. I often see beginners buying incredibly expensive machines (and often more than one, for a spare) and I apply my ‘cost per wear’ sum to the sewn items. I know there is enjoyment in having a fabulous machine that does everything, but it will be a lot of items before these machines pay for themselves, and so it makes it very expensive. 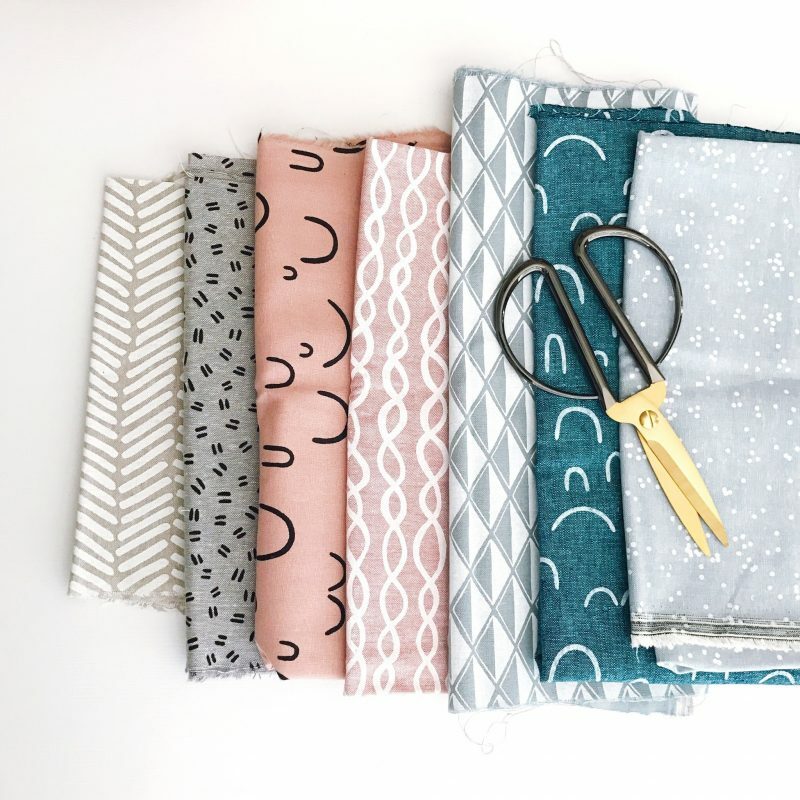 I try to just buy fabric for my next project, but I can’t lie – it can be very tempting when you see gorgeous fabric, or bargain fabric. 26 years, that’s amazing! I definitely intend to hold onto my Juki for as long as I can, which reminds me that it’s due for its service. Do you use the vintage Singers for anything? I like your idea of applying a cost per wear to items. I wonder how my handmade clothes would fare if I did that? Some would definitely come out better than others! A fascinating post, I have been feeling disquiet for a while when I read sewing blogs, and asking myself similar questions. How do they afford it? How do they have the time to wear it all? And is it just to make the rest of us envious? I have unsubscribed from a lot of blogs now as feel there is a peer pressure to acquire more more more. But I also have a few pieces of thoughtlessly bought fabric and bits and bobs given to me so inspired by your post I shall sort them out and sell them on eBay! And I shall carry on only buying fabric for the clothes I’m actually going to make now, not in some mythical future. Thanks for making me think a bit harder about sustainability! Thank you so much for your comment Caroline 🙂 I’m definitely enjoying sewing more now that I’m not bothered about “keeping up” with anyone else, it all just gets a bit much doesn’t it? Happy (sustainable) sewing!